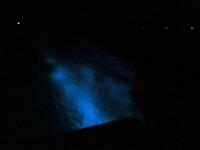 I vividly remember the first time I learned about bioluminescent bays. I was sitting in the second row in Biodiversity 21 at Duke, and professor Paul Manos described the tiny dinoflagellate organisms that get so pissed off when agitated that they glow a blue-green color. (Okay, that’s an anthropomorphism. But the concept is still there.) The point is I remember thinking “Wow. That’s something I need to see before I die”. I couldn’t believe my luck when a year later I won a grant to do research in Puerto Rico, near one of the 5 major bays in the world where this happens. And then science happened, and we were busy chasing lizards and discovering new weevil species, and I never got to go. 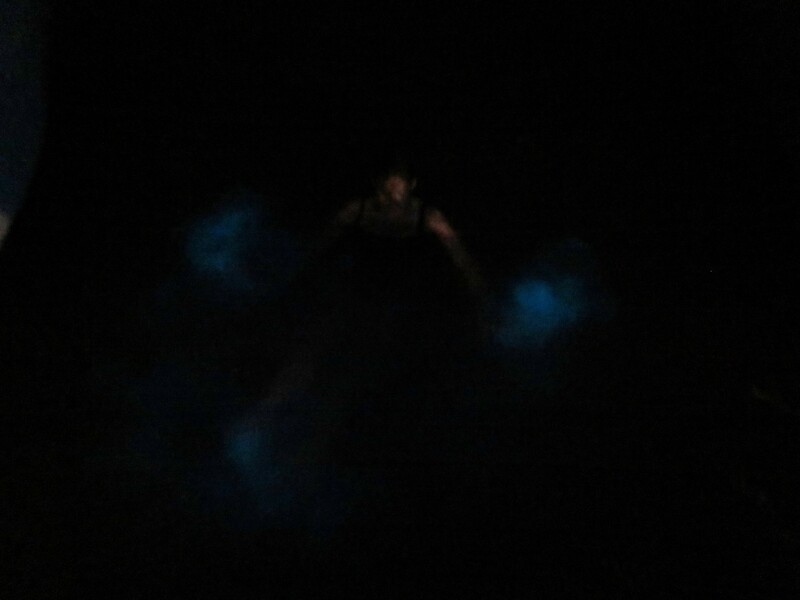 It would be another 8 years before I would be near another bioluminescent bay again, this time in Jamaica, and I was absolutely NOT going to miss this opportunity a second time. Fortunately, our Airbnb had a local hookup and got us in touch with someone with a boat, who brought us out to the middle of glistening waters bay. As we moved away from the dock, the motor of the boat caused a blue avatar wake behind us. Fish darted away from the bow in front of us, each of them drawing an illuminated streak across the black water. It was a lot like watching for shooting stars, except they were every foot or so, and in the down direction. The boat driver anchored us at the darkest possible part of the bay, far from the lights of he town, and we climbed down the ladder and slid into the warm, mucky-bottomed water for a swim. Everywhere we kicked and splashed lit up like broken glow sticks in a cotton candy blue. If you stood still, you could almost be invisible. But the moment you moved it blew your cover. We played like kids and it was magnificent. These bays are in danger from pollution, storms, and global warming. Hurricane Maria damaged the one in Puerto Rico and it’s unclear whether it will recover. If you have the means, I urge you to go see this phenomenon sooner, rather than later. It is one of the coolest things we’ve seen in this world.